The eldest grandson of famed ocean explorer Jacques Cousteau will be speaking at Thompson Rivers University as part of the President’s Lecture Series. Fabien Cousteau, also a social activist and documentary filmmaker, will present “One Ocean and One People” to an audience in the Grand Hall on March 6. 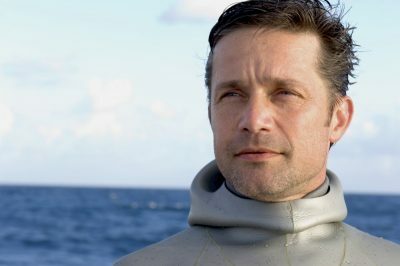 Cousteau has been an explorer-at-large for National Geographic, appeared in or produced a number of documentaries including Shark: Mind of a Demon, Attack of the Mystery Shark and the PBS series Ocean Adventures, and he helped develop a 14-foot submarine shaped like a great white shark meant to observe sharks covertly. The event starts at 7 p.m. with free admission, no tickets required.